Quirky, funky, and more than just a little bit different, the Hyundai Veloster was a unique addition to the motoring scene in 2012. Normally aspirated or turbocharged, part sports car, part coupe and a whole lot of cool, you can get yourself into one of these eye catching vehicles on the second hand market. You can find out What To Look For In A Used Hyundai Veloster to help you select the perfect vehicle. Alongside the usual checks for wear and tear on the interior of the used Hyundai Veloster, take a close look at the leatherette covering on the steering wheel. The wheel is the item that gets the most wear from use, so check that the trim is intact and free from peeling. It is also important to ensure that all the controls for the electronic features are functional. Make sure that the trunk release is functional and will open when activated. When test driving the used Hyundai Veloster, listen carefully for suspect engine noises. Take the time to carefully inspect the exterior to ensure that the paint is in good condition. The Veloster is relatively new so vehicles are not prone to old age issues at this point. A low mileage vehicle should have a clean interior with little wear on the seats and door trims, a quiet engine, and smooth shifting transmission. Ensure that you take the time to check that the used Hyundai Veloster that you are looking to purchase has not been in any major accidents or has an encumbrance against it. Not as easy to see but definitely worth investigating to reduce the chance of disappointment later. Another way to reduce the risks is to buy your preloved vehicle from a professional dealership with a long history of selling quality vehicles. 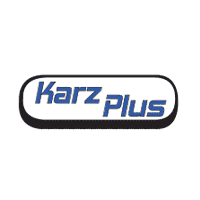 Karz Plus has the vehicle for you.